Vietnam’s Jetstar Pacific Airlines has finalised a purchase agreement with Airbus for ten A320ceo aircraft. The contract follows an MOU announced earlier this year and was signed in Hanoi by Le Hong Ha, chief executive officer of Jetstar Pacific and Fabrice Brégier, Airbus president. The signing took place during the state visit to Vietnam of François Hollande, president of France, and was witnessed by Hollande and Tran Dai Quang, president of the Socialist Republic of Vietnam. Based in Ho Chi Minh City, Jetstar Pacific is a joint venture between Vietnam Airlines and the Qantas Group. 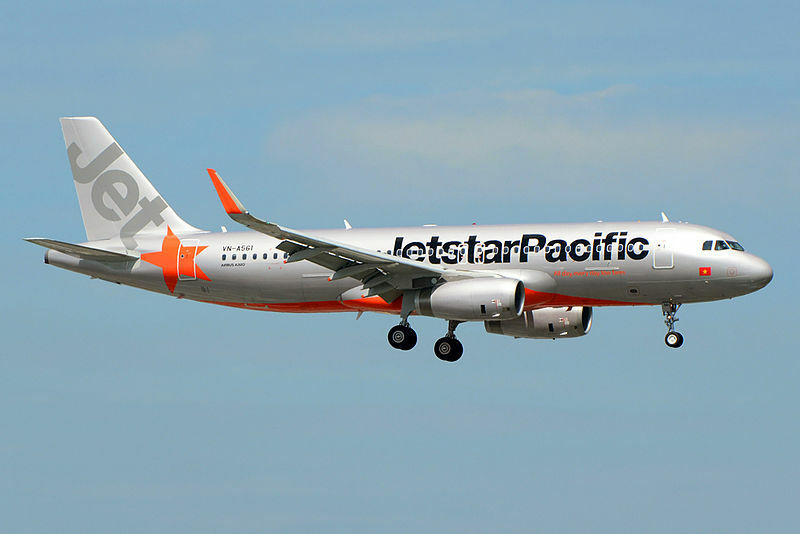 The order from Jetstar Pacific marks the first direct purchase by the airline from Airbus. The aircraft will join an existing fleet of 12 leased A320 Family aircraft flying with the airline on domestic and regional routes. Value-based airline Jetstar Pacific operates a total of 33 domestic and international routes. It is part of the larger Jetstar Group network that connects to more than 75 destinations in 17 countries with 4,000 weekly flights across Jetstar Airways (Australia), Jetstar Japan (Japan), Jetstar Asia (Singapore) and Jetstar Pacific.